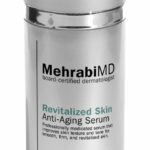 We have two premium MehrabiMD Anti-Aging kits currently on special! You will love these silky smooth serums to prevent fine lines and wrinkles! 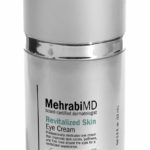 A great regimen starts with a strong, elegant sunblock and an effective antioxidant retinol. The essentials start here, but you get an smooth, antioxidant eye cream with our essentials PLUS package. Call us or chat with us if you need help deciding which of these are perfect for you. We’d be happy to help! Essentials Anti-Aging Kit: Morning SPF 40 Tinted SunScreen and Nightly Retinol Serum for only $105 (reg $130). Essentials PLUS Anti-Aging Kit: Morning SPF 40 Tinted SunScreen and Nightly Retinol Serum PLUS Our Anti-oxidant Eye Cream for only $180 (reg $215).